Losing a loved one is one of the most devastating experiences we as human beings can experience. When the loss of a loved one occurs as the result of an accident, due to the negligence or wrongdoing of another party, the loss is doubly distressing… and raises all sorts of questions about what will happen next for the survivors. Our Los Angeles wrongful death lawyers are involved in making sure that anyone who has suffered in such a scenario does not lose their voice, or their rightful claim to justice. How can the person or entity that caused your loved one’s death be held accountable? Will they be criminally prosecuted? Will they be held financially liable in any way? Can the responsible parties be penalized to prevent such incidents in the future? Is there help to pay for your loved one’s medical expenses and funeral costs? Could you be compensated for your loved one’s lost income and benefits? While dealing with the grief and emotional pain that comes with the death of a loved one, family members also tend to face significant financial burdens. Our Los Angeles wrongful death attorneys help families seek and obtain maximum compensation so they can move on with their lives, hold the wrongdoers or negligent parties accountable and gain some degree of financial stability for the future. When Does a Death Become a Wrongful Death? When a person is killed due to the negligence or the wrongdoing of another, it is known as a “wrongful death.” Survivors of the deceased person may file what is known as a wrongful death lawsuit through the civil justice system. These types of lawsuits seek monetary compensation for the loss of the decedent. Not all deaths may result in a wrongful death claim. For a wrongful death claim to exist, the party responsible for the decedent’s death must have been negligent, careless, reckless, or must have committed an intentional act of wrongdoing. A drunk driver strikes and kills a pedestrian. A distracted driver causes a fatal collision. A fatigued truck driver rear-ends a vehicle resulting in fatal injuries. A property owner and/or managing agent fail to fix a dangerous condition on his or her premises that leads to a fatality. 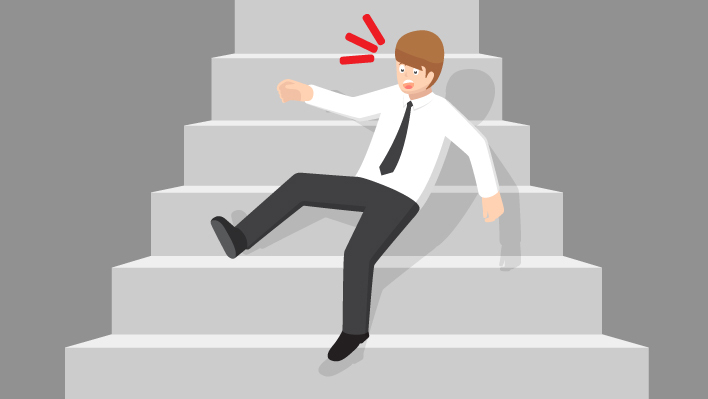 An example of this could be someone tripping and falling on a broken stairway and suffering fatal injuries. A vehicle passenger loses his or her life due to a defective airbag or seat belt. A child is killed after the neighbor’s dog attacks him or her. A patient dies as a result of a doctor’s failure to diagnose cancer. A person physically assaults the victim and causes fatal injuries. Murder is a type of wrongful death. However, not all wrongful deaths are murders. Murder is a charge that is filed in criminal courts when one person intentionally causes the death of another human being. A criminal murder charge is brought against an individual by the state. Murder is the most serious crime imaginable in our legal system, and a murder conviction typically results in a lengthy prison sentence, usually life in prison or even the death penalty. Wrongful death, on the other hand, occurs as the result of the actions of an entity or an individual. A wrongful death could rise from intent, but more often, it is the result of reckless, careless or negligent acts. Wrongful death actions are filed in civil courts by the family or the estate of the decedent. While defendants in murder cases are found “guilty” and punished accordingly, defendants in wrongful death cases are found “liable” and the survivors of a decedent receive a monetary award, which is paid by the defendants or their insurance carriers. The other difference between murder and wrongful death involves the burden of proof. In a murder case, the burden of proof rests on the prosecution. 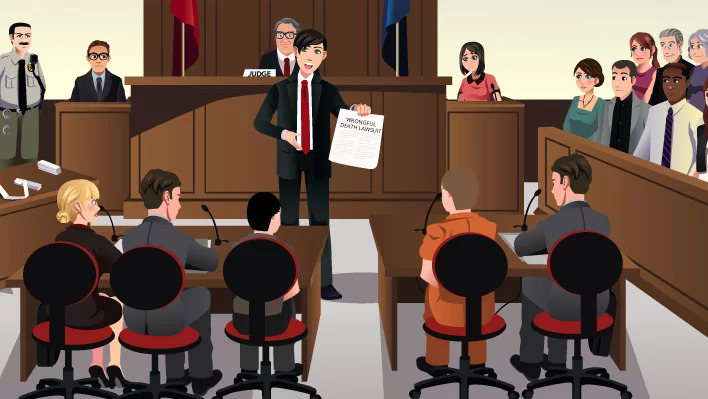 The state must present evidence to the court and the jury to show that the defendant committed the crime of murder “beyond a reasonable doubt.” In a civil wrongful death case, the burden of proof is on the plaintiff (the victim’s family). Survivors of the decedent in a wrongful death case must show by a “preponderance of the evidence” that the defendant was negligent. Since wrongful deaths often occur due to negligence, a proof of intent is not required. It is important to remember that criminal courts only punish the defendants with prison terms and fines. A criminal conviction will not offer much in terms in monetary compensation for survivors or the families of the decedents. In many cases where negligence is involved, criminal charges are not even pursued because the burden of proof is so high for the prosecution. So, for family members of the deceased, pursuing a wrongful death lawsuit is often the only way to obtain justice and compensation for the loss of a loved one. California law allows individuals to bring a wrongful death lawsuit to recover monetary damages following the negligent or intentional death of another under certain conditions. If you meet the requirements under the California Code of Civil Procedure Section 377.60, you may be able to bring a lawsuit to recover monetary damages for the wrongful death. The surviving spouse, if the decedent was married at the time of death. A surviving domestic partner, who was “registered in a domestic partnership” at the time of the decedent’s death. Any minor or adult children of the decedent. Stepchildren or parents of the decedent. Individuals who were dependent on the deceased, including a putative spouse or children of the putative spouse. A putative spouse refers to the surviving spouse of a void or voidable marriage. Anyone who was financially dependent on the decedent who had resided with the individual for 180 days. A personal representative of the decedent who is authorized to being the lawsuit. There may be instances where several people make claims at once. For example, children, stepchildren or even nieces or nephews of the decedent could make claims if they were financially dependent on the decedent. Any of these claims could be valid. The law requires that everyone who has a legitimate claim be named in the lawsuit as a plaintiff. As a result, wrongful death claims involving multiple plaintiffs could be extremely complex. In any wrongful death lawsuit, families would benefit from the services of a knowledgeable wrongful death lawyer who will fight for their rights and help them secure maximum compensation for their losses. California has limits on the amount of time survivors have to file wrongful death claims. This is known as the statute of limitations. Once this time has passed, you may not be able to file a claim or seek compensation for your losses. To make matters more complex, the statute of limitations varies depending on the underlying cause of death. The best way to be certain about the amount of time you have is by speaking with an experienced Los Angeles wrongful death lawyer. California Code of Civil Procedure Section 335.1 states that any action that stems from the death of a person due to negligence or the wrongful act of another party must be filed within two years. In a vast majority of wrongful death cases, the clock begins to tick at the time of death. For example, if an individual was killed in a car accident and died immediately, the family of that individual has two years from the date of the accident to file a wrongful death claim. However, if the same person remained in a coma for several months before passing away, the family would calculate the deadline to file the wrongful death lawsuit from the date of death, not the date of the accident that eventually led to the person’s death. The statute of limitations for deaths caused by medical negligence is different. According to California Code Section 340.5, if the death was caused by medical negligence, family members have three years from the date of injury to file a claim or one year from the date the injury was discovered. If a governmental entity or government employee caused or contributed to the death, it is important to remember that you have only six months to file a claim. Examples of such incidents could be car accidents involving city vehicles, medical malpractice at a government-run hospital, accidents at public schools and pedestrian or bicycle accidents caused by dangerous roadways. When it comes to wrongful death claims involving governmental entities, time is certainly of the essence. Under any of these circumstances, if you let the statute of limitations expire, it is highly likely that you will not be able to file a wrongful death lawsuit. Contact one of our Los Angeles wrongful death lawyers right away to find out how much time you have so a claim can be filed on time, before that deadline passes. Negligence: Plaintiffs in a wrongful death cases must prove that the death of their loved one was caused, in whole or in part, by the carelessness, recklessness or negligent actions on the part of the defending party. Breach of duty: Plaintiffs must also show that the defendant had a duty of care to the decedent and violated or breached that duty. For example, a driver has a legal obligation to exercise due care when it comes to pedestrians. So, if a driver violates the rules of the road by not stopping for a pedestrian walking in a crosswalk, it can be said that he or she breached that duty of care to the pedestrian. It is the plaintiff’s job to show that this duty existed and that it was breached through negligence or wrongdoing. Causation: In addition to showing that a duty existed and it was breached, the plaintiff must also show that the defendant’s negligence was the direct cause of their loved one’s death. For example if a truck driver violated federal hours-of-service regulations and operated the big rig, and caused a fatal accident by falling asleep at the wheel, then there is a clear cause and effect. The deaths occurred because the driver failed to take sufficient breaks and fell asleep at the wheel crashing the big rig. Damages: The victim’s death must have generated quantifiable damages such as medical expenses, funeral and burial costs, lost income and benefits etc. In order to prove these damages in court, plaintiffs must provide strong supporting documents to show the actual losses. Medical expenses: Ambulance costs, emergency room expenses and medical costs incurred for the decedent’s treatment prior to death. Funeral and burial: The cost of a funeral and burial can run into thousands of dollars. For most families, this is a tremendous financial burden that becomes difficult to meet. 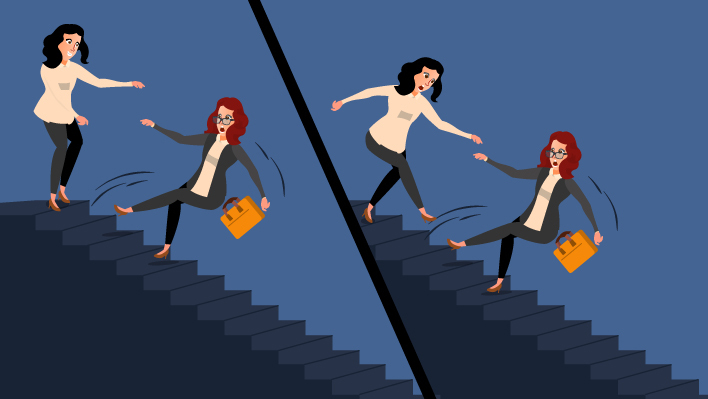 Lost income and benefits: If family members counted on the decedent’s income and benefits such as pension and health insurance, losing all that can prove devastating. 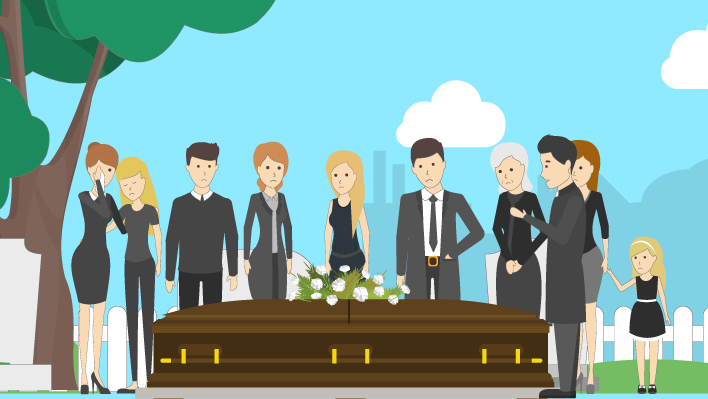 Lost future income: Your Los Angeles wrongful death attorney can help calculate the income your loved one would have earned through their lifetime. Non-economic damages: Some damages that are not quantifiable such as the love, mentor-ship, guidance and companionship provided by the decedent, can also be compensated in a wrongful death claim. A wrongful death lawsuit can be complex and challenging to pursue, particularly for individuals who are dealing with grief and loss. At TorkLaw, we will strive to help you hold the wrongdoers accountable and even effect positive change to prevent similar deaths in the future. If you have lost a loved one due to negligence or wrongdoing, please contact our Los Angeles wrongful death law firm to find out how we can help you.